I’m psyched to bring you this interview today! I’ve been wanting to talk about skin care on the blog for a long time. Skin care is a super hip topic these days and everyone is nerding out over ingredients and trendy products. I’ve gotten lots of questions from Spirit Junkies about this topic and it comes up a lot in conversations with friends. I am a big fan of holistic skin care and believe in the power of healing from the inside out! In fact, two of the best things I’ve ever done for my skin have nothing to do with masks or serums. I used to struggle with cystic acne and had a really hard time getting rid of it. I tried many products but it was a never-ending battle. But when I quit sugar, I can say my cystic acne was healed for good. Period. Another major benefit for my skin is using my infrared sauna. My circulation has improved and I feel the benefits of sweating! I want to share with you some more amazing benefits of holistic skin care, so I got in touch with my dear friend and dermatologist Bobby Buka, MD. Bobby and I met years ago in a yoga class, and he’s the first person I go to with any skin question. Now I’m bringing him onto the blog to share his wisdom about holistic skin care with the Spirit Junkie tribe. I threw a bunch of questions at Bobby and he delivered! He even created some awesome videos of his farm in upstate New York. Check out our Q&A below and be sure to watch Bobby’s awesome videos, where he gives even more tips! Tell me about your farm! Why did you start it? Where is it? What do you grow? Prana Farms is located two hours north of New York City. The dream was to have land to grow vegetables organically and sustainably, and to raise a family in nature. It has spiraled into so many other facets over the past three years. It’s truly one of those places where magic happens. 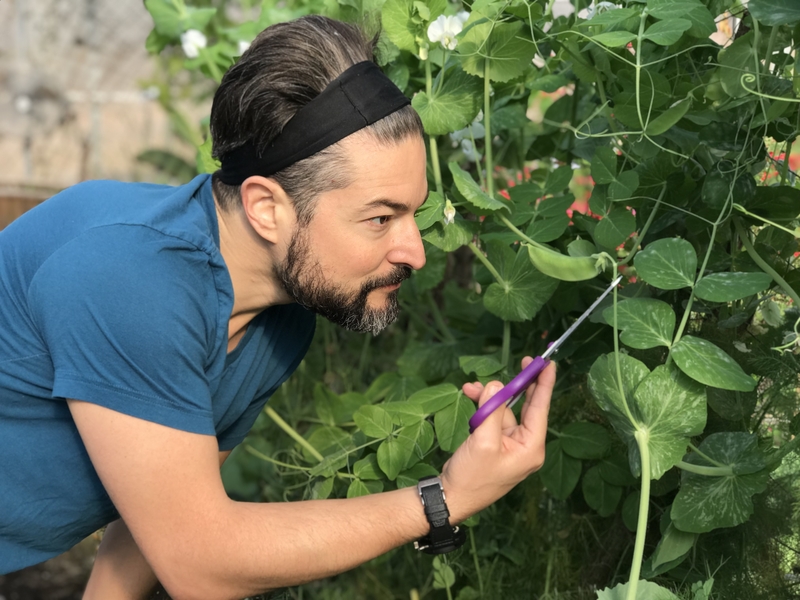 Currently we are growing all sorts of food in the greenhouse, including: varieties of spinach and kale, fennel, cucumbers, tomatoes, carrots, beets, turmeric, basil, rosemary, cilantro, sage and ashwagandha. In the summertime our fruit trees gift us with figs, Asian pears, limes, plums. We are also working towards growing hops. What’s one of your favorite home remedies for a common problem? Skin compresses. Use anti-inflammatory herbs like calendula, steep the flowers and petals, wrap it in gauze and place it on the skin. The heat will help draw out any impurities and the active ingredients will soothe irritated or inflamed skin. It also allows you to rest and chill for 20 minutes. It’s a great way to sit still and tune out, slow down and repair the body and mind. What’s an anti-aging ingredient everyone should know about? How much of a role does our diet play into the health of our skin? Think acne: It has a few different causes, but there happens to be an underlying connection between the immune system and the gut. Studies have found a correlation between the bacteria Propionibacterium, acne and the immune system. The more nutritious food we feed ourselves, the better we feel. The healthier the immune system, the healthier the gut biome. If we eat more foods that are alive, bright in color, packed with hydration, full of nutrients like vitamins and minerals, it will better our chance for great health and radiant, clear skin. There is a direct correlation between the foods we ingest and the way our skin looks and feels. If you don’t believe me, try eliminating all processed/packaged food for two weeks and add in vegetables and fruit. You will discover the how food can drastically change the appearance of your skin from the inside out. I know you’re into yoga and meditation. How can practices that reduce stress help our skin, and what can people start doing? Bobby answered this one from his yurt and his sauna! 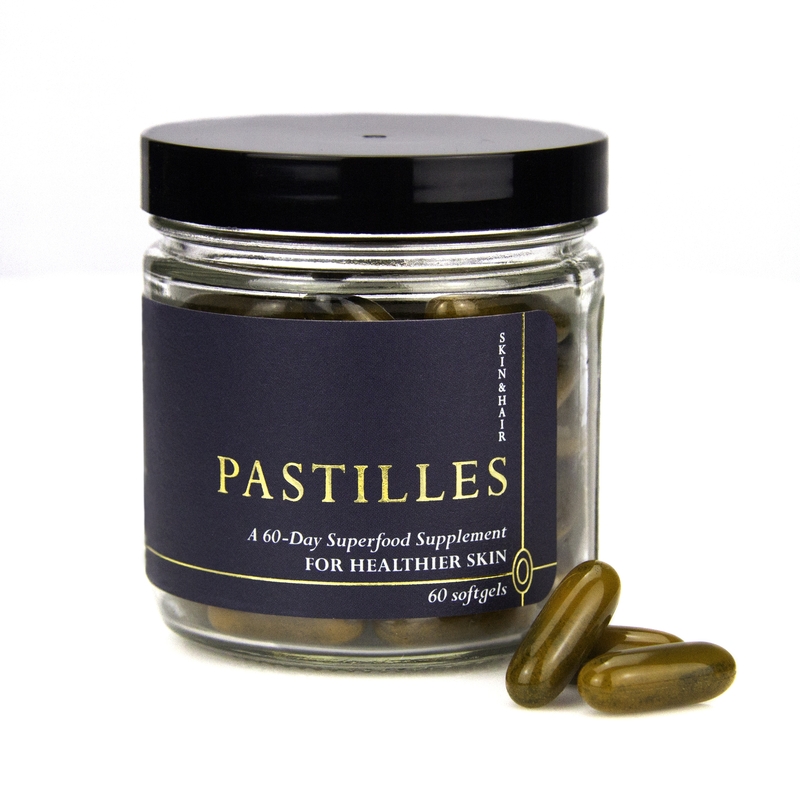 I’m obsessed with your Pastilles superfood supplement for healthy skin! Can you tell us how you chose what went into it? What are a couple of the most powerful ingredients? We wanted to create a supplement with ingredients that synergistically worked together. Two of my favorite ingredients in Pastilles are ashwagandha, this miracle herb has the taken the medical world by storm, and curcumin. The ashwagandha plant (aka Indian ginseng) is abundant in antioxidant, immune-boosting, anti-inflammatory, sleep-inducing, anti-stress and antibacterial properties. The high amount of antioxidants allows it to fight the damaging free radicals produced by exposure to harmful UV radiation from the sun, in turn it will help reduce those pesky dark spots, wrinkles and fine lines. Ashwagandha also helps bring down the cortisol levels, reducing the harmful impact that stress has on your body. My other favorite is curcumin, one of the most important active compounds found in turmeric. It’s an anti-inflammatory, antioxidant, antibacterial, anti-fungal and antiviral powerhouse. It can stymie several pro-inflammatory molecules and is responsible for regulating the immune system’s response to infection. Curcumin can not only halt inflammation in its tracks, but it also protects the skin by improving collagen production while vanquishing free radicals! And because it works so effectively for healing wounded skin, many of the manifestations of skin disease, like dryness, rashes, scaliness, swelling and irritation, are repaired since curcumin helps increase connective tissue formation and promotes blood flow. These two ingredients alone can really improve the health of the body and the health of the skin. If you want to heal your skin from the inside out, click here to check out Dr. Bobby’s awesome Pastilles superfood supplement! You can also find out more about his dermatology practice here. Spirit Junkies, what are your favorite holistic skin care ingredients, products and remedies? Leave a comment and let me know how you keep your skin clear and healthy! Thanks Gabby for your valuable advice, I am going to eliminate all prossed food from my diet and try to add all natural and fresh food. I totally agree that when you cut out processed “foods” and white refined sugar and baked goods made with white flour your skin starts to heal. Wow! my whole body heals and is restored when I eat fresh veggies and fruit. I also like to eat millet as a healthy grain in my diet. Thank you for your work encouraging and building up others by your blogs and videos! Nice! Love all the great skin tips here, Gabby. My biggest challenge is hydration. And I’m definitely checking out gotukola! Are you supposed to drink the got up kola or make a poultice? Same question with corcumin. This was great! I’m a holistic skincare junkie. Educating myself about skincare ingredients and switching to clean brands is the best thing I’ve ever done for my skin. What I love about this piece is that you’re sharing advice from an M.D. It’s so refreshing to see a dermatologist promote natural approaches to healing skin from within. Yes, there are times when medicine is the answer, but there is so much we can do for our skin through lifestyle changes. OMG, I think I have a new best friend. Love Dr. BOBBY. I just after Valentine’s day started a plant based diet. I’m trying to eliminate all sugar, as you it’s hard. But I also just started (about 2 years ago) gardening. No coincidence this email popped into my box I hope dr. Bobby has more videos we can watch. Oh by the way I don’t have a sauner but I do have a hot tub. Lol. Thank you Gabby for sharing Doctor Bobby with us! Absolutely loved the greenhouse tour, his farm and philosophy! I am looking forward to seeing you in Toronto in May! Woot!! Can’t wait to see you there!! Oil cleansing from Crude! Soaps/cleansers strip your skin of its natural oils. Crude’s products are organic and their green tea detox mask is amazing ❤ I struggled with melasma and adult acne trying every natural/organic line out there and saw a few dermatologists who gave me harsh prescriptions. Then I found Crude. People think I’m 10-15yrs younger than I am, I have no more struggles with melasma and I rarely get a pimple! Whatever you put on your skin gets absorbed into your body…so it matters! Could this take the place of taking collagen and hyaluronic acid and Vitamin C supplements? I’m fascinated that someone who has a brand called spirit junkies would not talk to the spiritual and emotional aspects of skin disorders. Not to say these physical tools can’t soothe what’s going on underneath. It’s just an observation. Love this post! Taking care of your skin from the inside is very important. I’m a certified essential oil coach and in addition to eating processed food diet, I love to use essential oils for skin care. For example frankincense and myrrh essential oils are great for their anti-wrinkle benefits. Tea tree oil is great for blemishes. Rose oil is natural replacement for hyaluronic acid. Clary sage is great for hormonal acne, just to name a few. Gabby! This is so timely for me to read. I just enrolled in B-School to focus my goals and launch my own skin care line. I, too, believe skin care products are only part of the equation. I hope my line helps to further bring this to light. Thank you so much for your wonderful resources! Divine timing!! xoxo You will love B-School. This all sounds so amazing! To answer your question, I’ve been using Dr. Gundry’s vital reds and green drinks (from powder). He is focused on gut health too. Friends and colleagues have stopped me and asked what I am doing. Thanks for sharing this info! Cool to be informed and know of what is out there. Any affordable substitutions for those of us who cannot afford an infra red sauna? Ive found the biggest thing for me aas detoxing my skin and body from non-organic natural skincare! I started with deodorant, and ive now almost have a complete line i trust! Pregnancy was BRUTAL on my skin but honestly they healed my skin and now it glows. Most people try all natural but they make the mistake not sticking to it. Takes the skin almost 3 months to detox the products and heal. I also try to drink 1.5 litre of water and often with ginger or a lemon 🙂 thanks for this amazing post. Also love love love rose hip oil which gives you a little glow. I was looking at the ingredients in Pastille and curious as to why Calendula and Gota Kola aren’t included, are these to be taken in addition? Great tips!!! Dr.Bobby has such a great energy ! I wish his supplements shipped to Canada. Finger Crossed someday soon! I believe you can ship to Canada if you order from his website and not Amazon! Is there a recommended manufacturer of gotu kola that is better than most? I can find this at my local CVS but my concern is of quality ingredients. Thanks Gabby for sharing the importance of our inner wellness on our outer beauty. Ayurveda shows how our inner health, emotions, mental and spiritual state deeply impact our outer beauty. We get so caught up in our external appearance that we neglect our deep soul yearning. I am so inspired by your story and what you shine the light on that I’ve joined B School to help me carry the joy of Ayurvedic knowledge into the realm of ‘skincare as soulcare’. Much love Eranthi, founder Aika Wellness certified organic Ayurvedic inspired skincare. This post is really very informative. Thanks for sharing the benefits of ashwagandha as I was not knowing much about it. 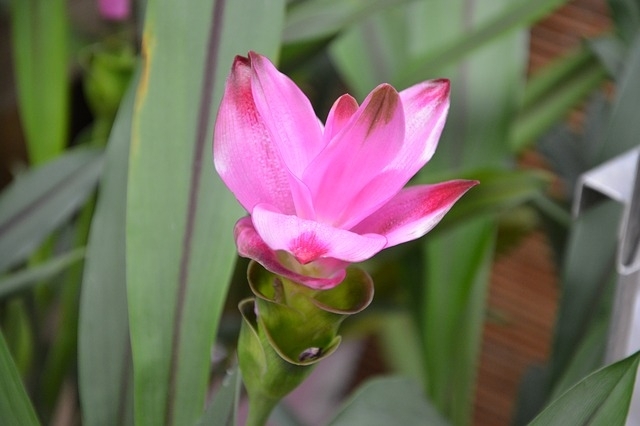 I always like natural herbs and have tried Shatavari that also improves the skin and also cures inner health issues. Keep sharing such useful posts. Hi GABBY BERNSTEIN, this information helps me a lot to get rid of this skin problem and I have been very thankful to you for providing this solution. Keep updating thankyou. great tips, thanks for sharing with us. Hey, everything looks so organic great tips and thanks for sharing such a wonderful article with us I love more organic products than materialistic elements I love my skin and I am very insecure about it. keep posting such wonderful article.peace.